When you have an adjustment for employee(s) and need to assign a new pay work type code, the Change Pay Work Type Utility is your best option for updating this code in multiple locations within ABIMM. Since a pay work type code is assigned to every existing WIP record, all employee schedules, and optionally on skill overrides this utility will update them all from the date you specify, and into the future with ease. To use this utility, navigate to Applications Menu > Utilities > Change Pay Work Type. First, select the Home Department of the employee(s), then the department of the Pay Work Type that will be changed for the employee(s). Then choose the OLD and the NEW Pay Work Type, and the Date you’d like this change to take place… this way the system knows to update all records on and after that date. Finally you can choose the Employee(s) to be updated. If this update is department wide you can leave the field blank to impact all employees. 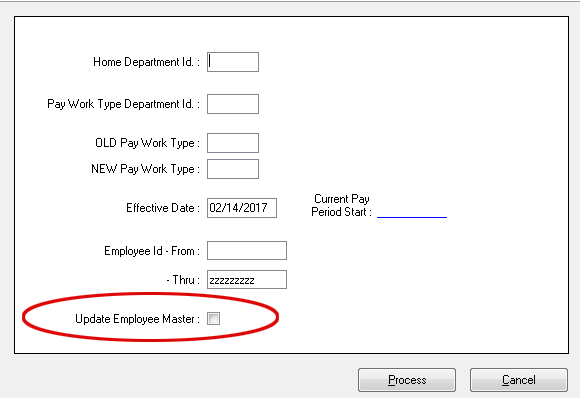 Lastly, there is a checkbox to Update the Employee Master file if the update is permanent (Image 1). Is your list of events getting too long? Do you need to reuse pst event codes? There’s a utility for that! Once you’ve reached your threshold you can archive events to shorten the list. These events are saved and archived allowing you to report on them as long as you want. The advantage is the speed and simplicity you get with a shorter list of events throughout ABIMM. To use this utility, navigate to Applications Menu > Utilities > Event Archiving. 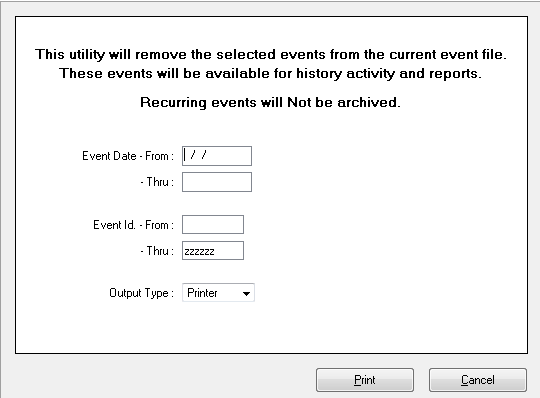 All you need to do is specify the event date(s) to be archived, or alternatively the Event IDs in case you have events you need to keep active (Image 2). Clicking the Print button will execute the utility and create a report for you to track the events that have been placed in the archive. 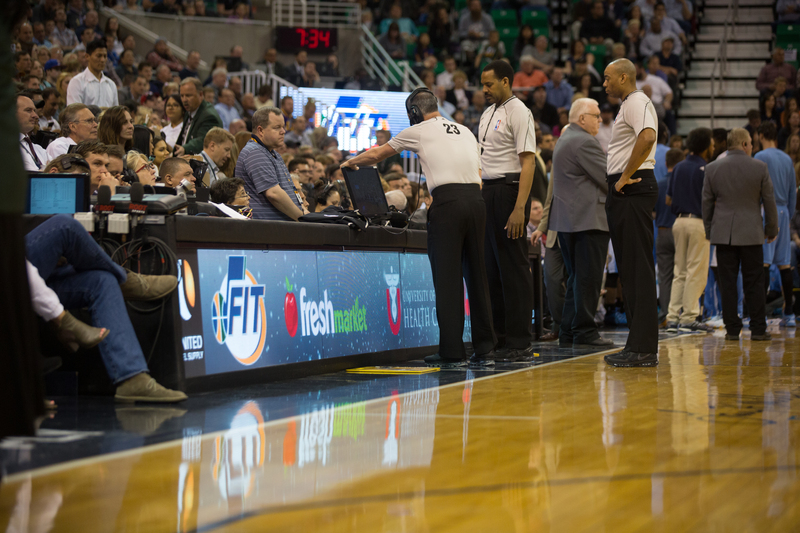 Note: Schedules for archived events can no longer be replicated. If you need to change the default availability for all employees in one or more departments, then the Reset Employee Availability utility is the tool you’ve been looking for. This can be done by specifying the Department(s), checking Reset Times and choosing Yes or No for each day (and optionally a From and Thru time threshold). Choosing Yes will make the whole day/time frame available and No will make the whole day/time frame unavailable. Using this powerful utility allows you to customize staff availability to your specific operational needs. 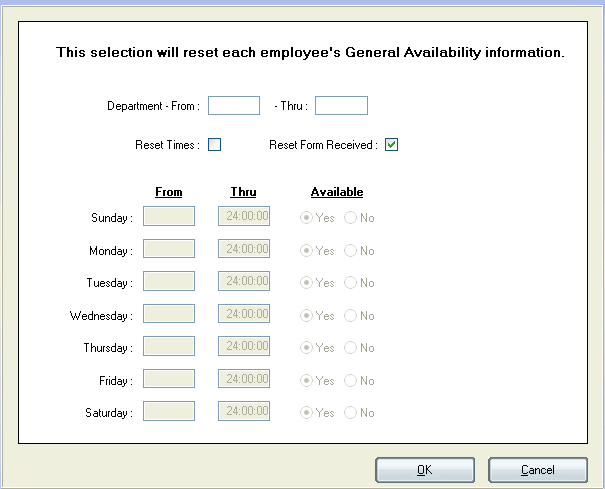 Note: default new employee availability can be changed in Department Maintenance on the Scheduling tab.